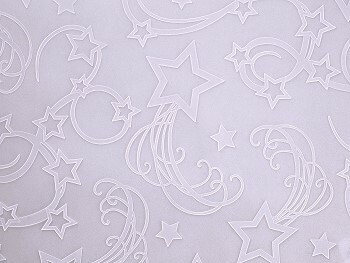 Give your fondant cakes an exciting new texture with this easy-to-use Swirling Stars imprint mat. Just smooth your rolled fondant over the mat, place on your cake and peel back the mat. 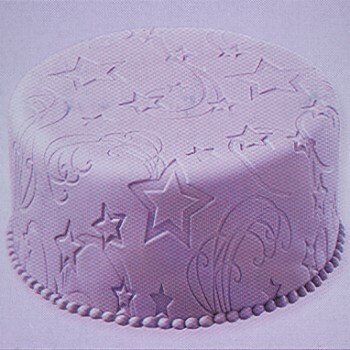 The recessed design imprinted in the fondant adds beautiful definition that even helps white cakes stand out. Also great for textured fondant ribbons and edging. Add elegant highlights by brushing the design with Luster Dust. Made of a soft flexible material.